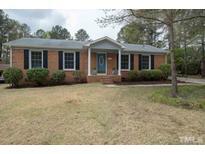 Below you can view all the homes for sale in the Parkwood subdivision located in Durham North Carolina. 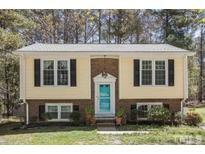 Listings in Parkwood are updated daily from data we receive from the Raleigh multiple listing service. To learn more about any of these homes or to receive custom notifications when a new property is listed for sale in Parkwood, give us a call at 919-759-5468. Endless possibilities abound with the partially finished space above garage. Wow! MLS#2248086. 2506. Are You Ready to Put Your Skills to the Test and Give this Home a NEW LOOK? MLS#2245632. 393. Large storage room off Sunroom not to be missed. MLS#2244244. 4542. 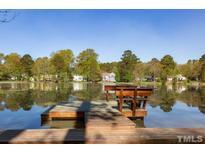 Convenient to I-40, Southpoint, RTP, and so much more! Will not last long! MLS#2243572. 65. This townhome could use some TLC and is priced below tax value. MLS#2242637. 3208. Make this charming home your new place today! MLS#2233619. 269. This wonderful home is conveniently close to all the amenities of life and perfectly situated for easy access to Duke, UNC, RTP, RDU, Southpoint, American Tobacco Trail and I-40/540 Expressway. MLS#2231443. 4300. Seller is motivated ,make an offer. MLS#2227795. 361. The large wooded lot has a storage shed, perfect for storing yard supplies. MLS#2223507. 1127.